This book, the first to be published exclusively by the BHS for some years, is beautifully presented in soft-back cover and contains 120 pages with 106 colour plates, 16 maps, 10 line drawings and Foreword written by Mark O'Shea. 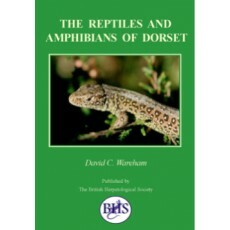 With descriptions of all UK species, the book will be of interest not only to enthusiasts in Dorset and surrounding areas but to everyone throughout the UK. This book is a 'must' read and an excellent field guide for all those interested in herpetology, natural history and conservation.